When the sun goes down and the water is just right, you will find the magic recipe to create your own Moonshine. 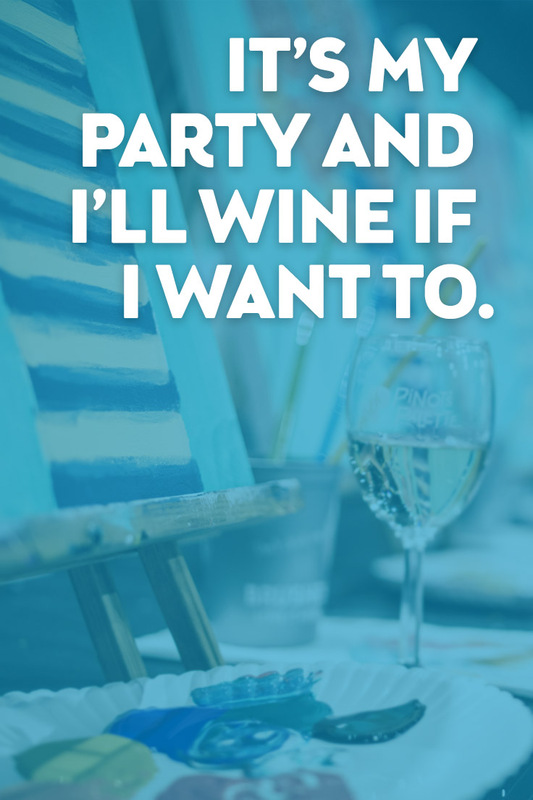 Enjoy an unforgettable, relaxing, fun day out with Friends, Painting AND half price Mimosas! We will also have the rest of our fun bar menu available! 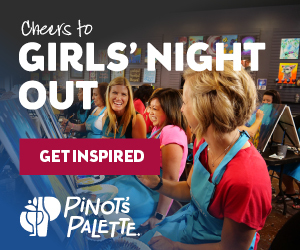 Pinot’s Palette is a pioneer of the paint and sip experience – a revolutionary way to enjoy art, while enjoying a beer, wine or cocktails, meeting new people and bonding with friends. Guests enjoy a no-experience-required art class – all supplies included – directed by trained, local artists, who guide guests step-by-step through a featured painting. Arrival Time & Late Arrivals: We ask that you arrive 20-30 minutes prior to the start time of this class, so that we can start and end on time. Anyone arriving any later than 15 minutes after the start time may have to catch up on their own without Artist assistance. Reservations will not be refunded for late arrivals and no shows. Thank you for your understanding! Food and Beverage Policy: Guests are welcome to bring snacks, appetizers, and meals into the studio to enjoy during class. Beer, wine, and an assortment of non-alcoholic beverages are available for purchase from the studio's bar. Since some of our guests choose not to drink, drinks are not included in the price of the class. CA law does not permit BYOB. While we regret to lose the opportunity to paint with you, our Pinot's Palette cancellation policy is as follows: A full refund can occur if notification of cancellation occurs at least 48 hours before class start time. You can also have the option to put the reservation on hold for a later date or transfer the reservation to another class. The reservation can be put on hold or transferred to another class if notification is received at least 24 hours before class start time. Loss of payment will occur if no notification of cancellation occurs or if notification occurs less than 24 hours prior to class start time. Signing up is easy. Click the "Events Calendar" link on the side of the page to view our calendar of paintings. Select which painting you would like to paint and click "Add Painting to Cart." Follow the on-screen directions to complete the order. Contact us if you have trouble completing your order and we will walk you through the process. What days are events held? Events are held on Thursday, Friday, and Saturday evenings. We also occasionally have classes on other nights during the week & on Saturday & Sunday afternoons – view our event calendar to find out more! What does an event cost? 2 hour events cost $35 per painter. 3 hour events cost $45 per painter. When do I need to arrive for an event? We recommend you arrive 15-20 minutes before the event starts to allow time for you to get settled in and mingle before the painting starts. When you sign up in advance we have your easel set up for you at your spot before you arrive for the event. If you have friends attending the event that you’d like to sit by, you can let us know when you book the event or you can send us an email (…just make sure to give us at least 24 hours notice).